We have finally kicked all our new CNC gear into action and are making stocks and custom rifles, parts and more. There will be many parts available for F class shooters and will appear on our new website http://crmgunsports.com/ - it is still under construction but we will be making and adding items furiously over next few months so keep an eye on it. I will try and make an announcement as we come up with new parts and designs. Part of the driving force behind the construction of these parts is PK's and my obsession with accuracy and precision and the frustration with the quality of a lot of parts out there. We hope to bring a whole new level to the manufacturing game. Checkout the new stocks on the gunsmithing page http://crmgunsports.com/gunsmithing - a maroon and a blue one (state of origin! 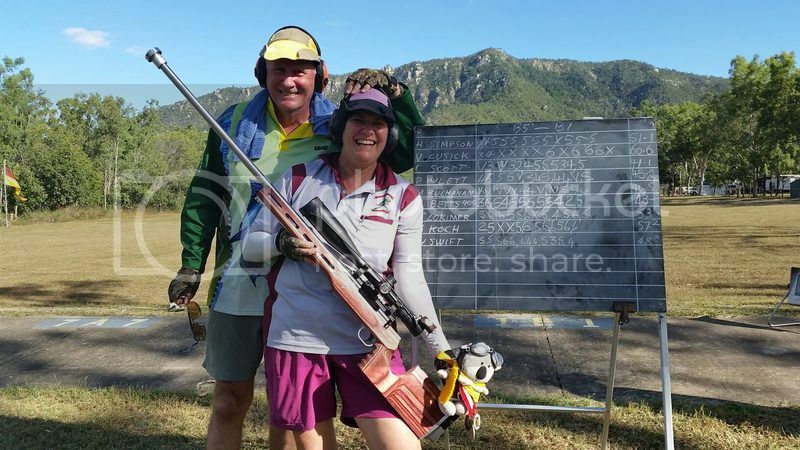 )- Vicki is parading the maroon rifle one in Townsville this week (and did very well today I here!). We are now open for business for custom rifles and more. Optics will feature heavily in our online store and with the in house collimator and testing equipment we hope to be a one stop shop for all your optics needs. The Norma brass is on a truck to the store and I will upload as soon as it arrives. Cheers, and we look forward to welcoming you all as customers. Re: CRM - Stocks, parts, scopes, new website and more. I was wondering what the stocks looked like. The links on Daves post don't work. Worked for me and this is the link from my address bar, is same as posted by DaveMc. Tracks well and soft to shoot. Target board was her score at 900M on the Tuesday 17th May at Townsville. I took a brand new barrel which broke a golden rule and bit back!! I changed tune every range and by last day of Queens got close with 59.5 at 900M. Great conditions to check gear with excellent sighting and little wind last 2 days!